Being a project manager can really be an exhausting and nerve-wracking job, especially with all the responsibilities included in the role. 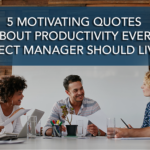 Whereas you work with a team, there’s still so much pressure on you since you’re the one in charge of the overall management. Since we’re in the digital age, keeping track of your checklist has been easier—thanks to the development of project management tools that guarantee improvements in your efficiency and increases in your productivity. 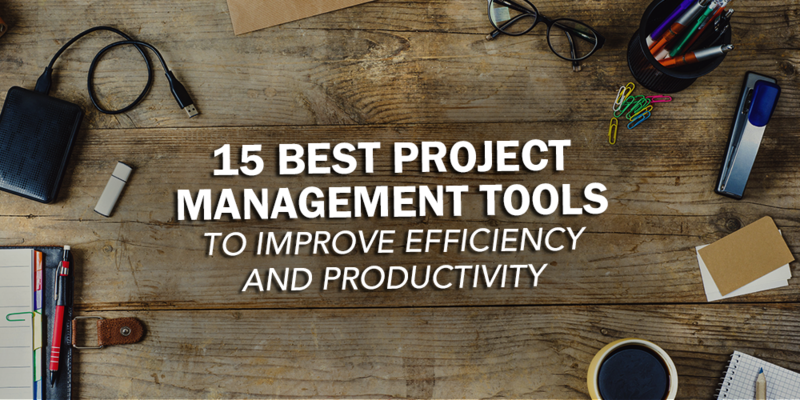 So to ease the burden that comes with your job and be the best project manager there is, we’ve listed the top 15 project management tools that you should consider for your next tasks. Dustin Moskovitz, co-founder of Facebook, and ex-engineer Justin Rosenstein developed Asana in 2008. Both a web and mobile application, Asana is an excellent tool for collaborating as it allows teams—regardless of company size to monitor the progress of multiple projects without necessarily meeting each other personally. In just a single dashboard, everyone can check all projects in a customizable view, along with a calendar for its deadlines. For each task, there would be assignees and followers, where each one can receive email updates with how the projects are going. 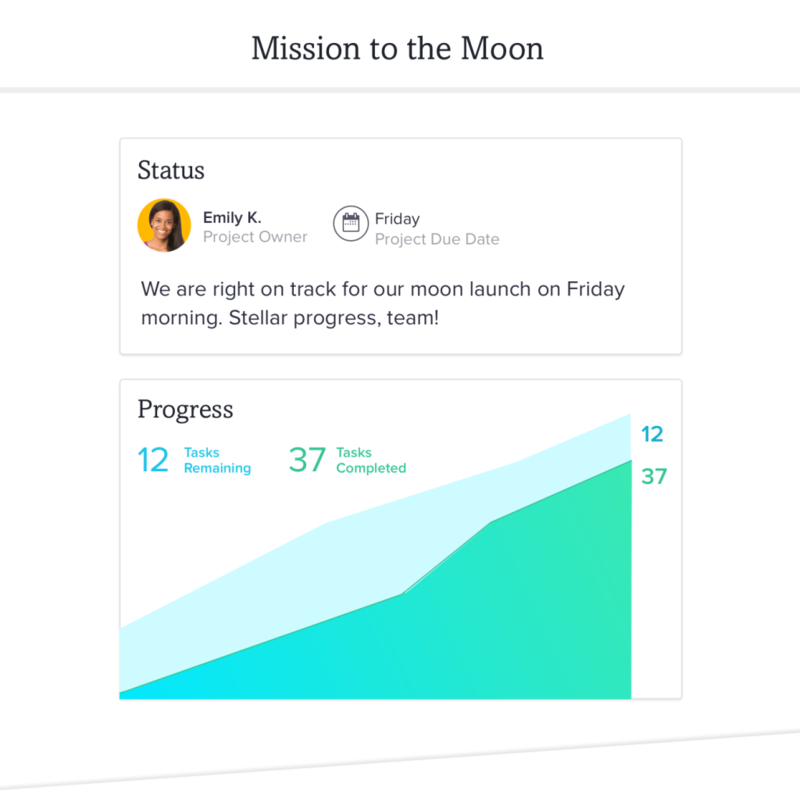 Asana also enables individuals to start a conversation or post comments directly on a task for clarifications and updates. Users can also include attachments such as documents, images, notes, and links necessary for the project. With huge companies like Dropbox, Uber, and Pinterest using Asana, there should be no reason for you not to give it a try. Post-its and sticky notes have been favored by some for organizing, as it seems fun to use, and Trello gives that to their users. Trello as a project management tool features easy dragging of notes or cards into columns, creation of boards for different projects, assigning tasks to important persons involved, and sending out notifications for every change conducted on a card. Attachments of large files, custom backgrounds, and discussions are also among Trello’s offerings. This simple yet enjoyable tool is available on the web, iOS, and Android devices, and has been the top choice by The New York Times, The Verge, and Tumblr. 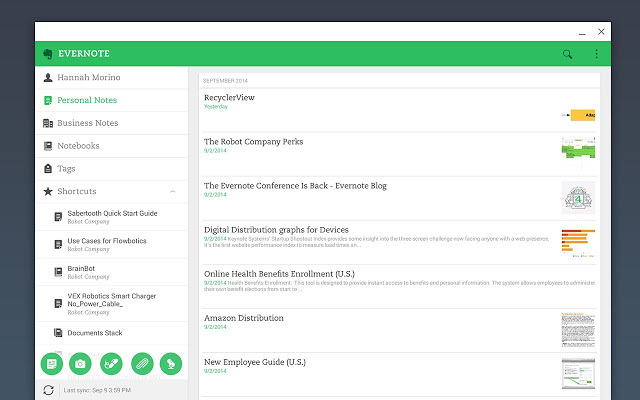 Evernote is probably the most popular project management tool because of its many features. From creating short notes or long researches in an instant, making notebooks for multiple projects, and digitizing documents and handwritten notes, among many others, Evernote is a must for project managers like you. Available on web, iOS, and Android, Evernote can be the workspace for everything you need—whether personal or work-related needs. Connect with important people, discuss progress in real-time, and present your notes without making slides are all possible in Evernote. Microsoft OneNote is a note-taking tool, a personal planner, and a project management tool all in one that’s available for the web and all devices. Users can take photos of documents or whiteboards with the Office Lens and easily clip any web page they wish to view later—both online and offline with OneNote. 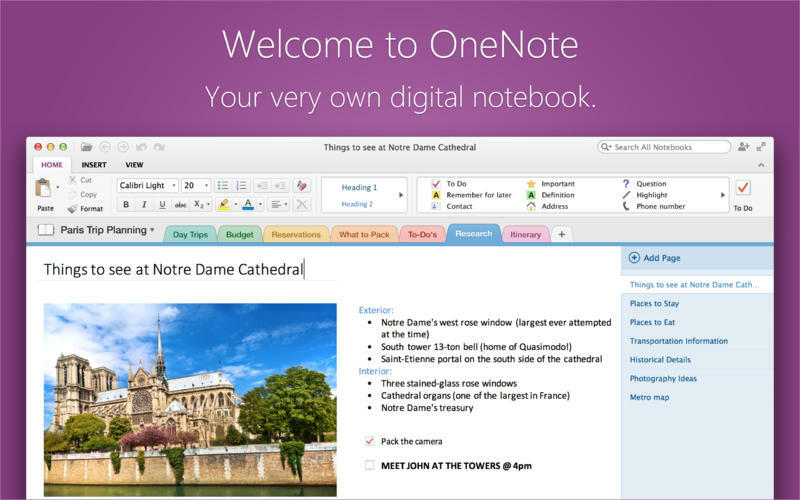 Setting up your OneNote email is also possible, and all emails received can directly be saved into your notebook. All notebooks created can also be viewed and edited by friends, family, and colleagues for better collaboration. With Azendoo’s simple interface, you can easily assign tasks to your team members, monitor each project’s status, and post comments whether you’re using the web, iOS, or Android devices. Boost your team’s productivity and collaboration with Azendoo, as it enables discussions to transpire in a single place, converts your emails into tasks, and synchronizes with your calendar among its many other features. Azendoo’s free version already comes with 10GB of storage—making it enough for some organizations and a top choice for companies like Cisco, Toyota, and Nike to name a few. 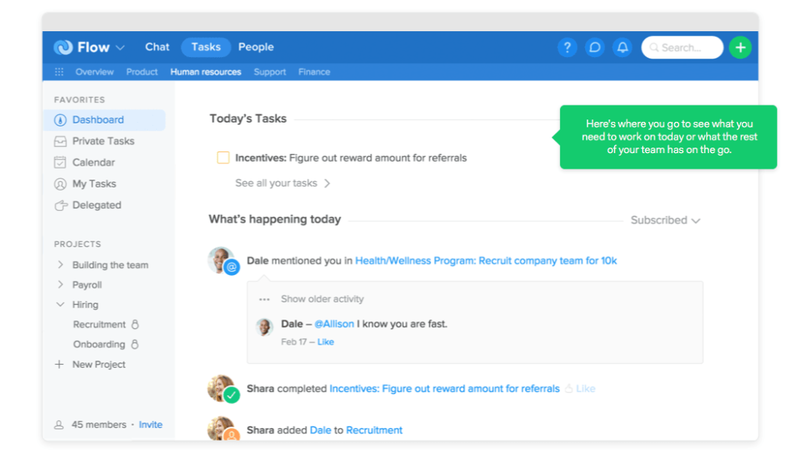 Aside from the usual assigning of tasks and file sharing, Podio also caters to businesses with CRM, sales lead, and recruitment processes. Its unlimited storage, full customization, integrated chat, meeting scheduling, and data visualization are just a few of Podio’s features that will certainly bring your business forward. Keep track of your project’s progress in an overview with the cardboard of your choice, whether it’s a simple or dynamic one. Strengthen your team’s relationship as well with Podio’s streamlined communication and peer-recognition to truly bring out the best in each other. With Flow’s simple interface yet numerous features, it certainly deserves a spot in your choices of project management tools. From delegating, organizing, prioritizing, and controlling tasks, you won’t be able to miss important projects. 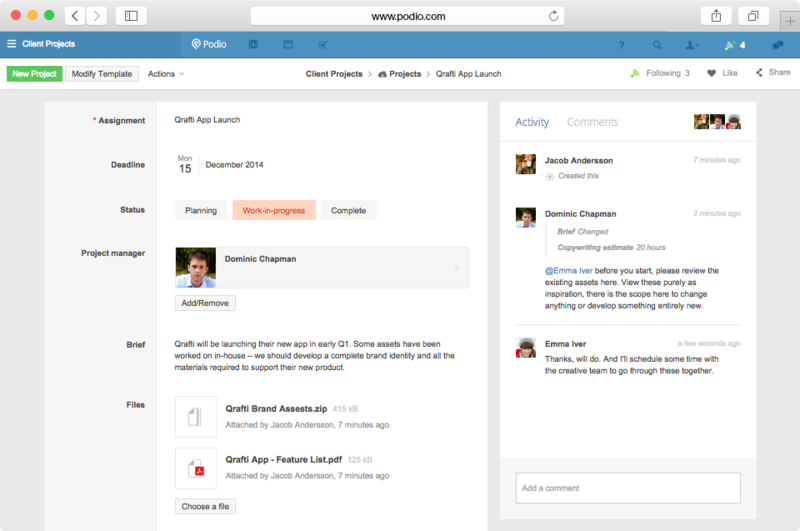 Flow also allows you to start a chat with your team, making your conversations more personal than sending out emails. Further, these conversations can be turned into actionable tasks in an instant, along with being able to drag files into it. Conversely, it also enables direct messaging, as some conversations need to be conducted privately. Tesla, Ted, and Paypal are just a few of the companies who use Flow for their task management. This cloud-based project management and collaborative tool, Nutcache is becoming a favorite among some businesses today. With its handy organizing features, users can not only keep track of their deadlines but also manage each project’s budget efficiently with its integrated expense management and invoicing system. Nutchache enables organizations to create lists and cards according to how they want it to appear, track and log their times on the project board, deliver results, and bill their worked hours accordingly. As a project manager, you can also get a quick overview of all your ongoing projects with visual representations, and even print them out for proper documentation. 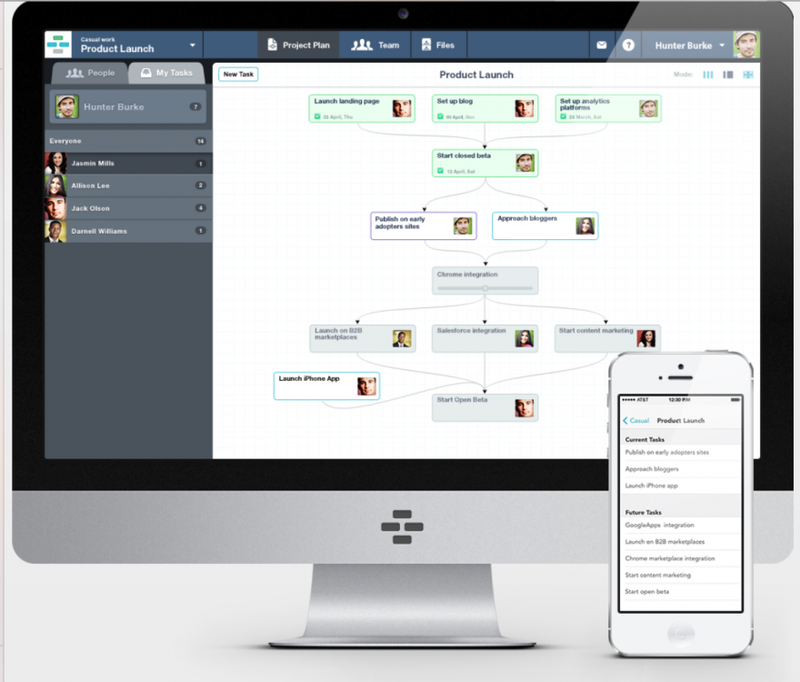 If your company doesn’t necessarily follow a hierarchal organizational structure, or still considered as small and growing, then Casual is the best project management tool for you. With its easy-to-use and simple workflow, you can certainly plan and execute projects without getting caught up with complicated features. You can stay on top of all your projects while being able to automatically document everything conducted online. For stricter security measures, Huddle has got you covered. With the United Kingdom and the United States governments using this tool, rest assured that your operations are well-protected. 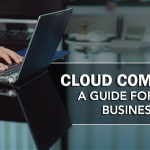 This secure cloud collaboration system gives your project management, file sharing, and monitoring of activities a boost when it comes to its safety on the Internet. Huddle can also be used on both desktop and mobile devices, and works with other enterprise tools such as Microsoft Office to maximize all your data. Whether you want to stick with creating traditional task lists, or want to be creative with sticky notes, Freedcamp offers both interfaces. With Freedcamp’s 200MB of storage, unlimited trial forever, unlimited projects, and unlimited users (all for the free version), it can suffice the needs of small organizations. 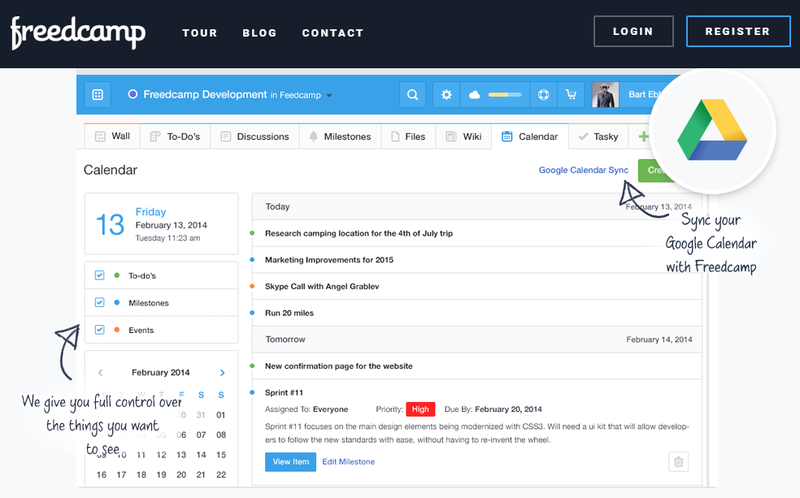 It also offers different calendar views whether daily, weekly, or monthly to help users stay on top of all their tasks. AirBnb, PayPal, Google, and Apple are some of the largest companies throughout the world using Freedcamp for their organization needs. For easier and real-time communication, Redbooth proves to be the best in providing such through their HD video conferencing. Redbooth promises to increase your productivity by 50% with its central hub for task management, built-in accountability, and team business chat—whether you’re using a desktop, iOS, or an Android device. With its user-friendly interface, ready-made workflow templates, and unlimited workspaces, one can indeed increase his efficiency with Redbooth. Teamwork helps you become the most productive and efficient, as it reduces unnecessary meetings and strengthens collaboration among team members. 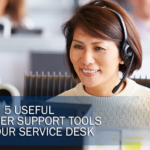 It also has a helpdesk to assist with everything you need, especially the most complex ones. 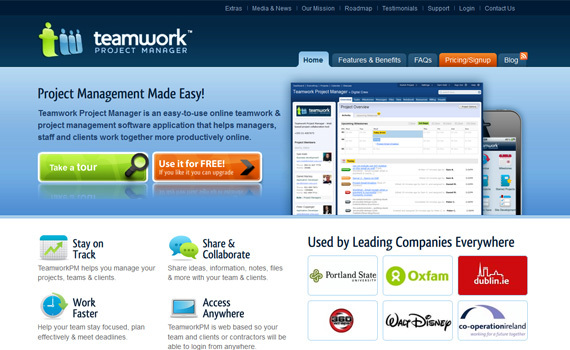 A chat beta is also included in Teamwork’s numerous features to keep everyone in the know. It’s availability on the web, iOS, Android, and Chrome allows controlling of tasks anytime and anywhere. With Proofub’s single dashboard, you can plan, organize, team up, and deliver results with ease. Efficiently monitor each project’s progress by constantly keeping in touch with your team members through its chat system, and quickly share important files through Google Drive or Dropbox to achieve more in every task. Personalization, accessibility, notifications, and security are also among Proofhub’s unique features. 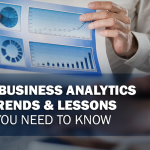 With Proofhub’s state of the art methods for data security, Walt Disney, NASA, and Trip Advisor are just a few of the large companies worldwide that attest to the quality of this tool. 5PM is a simple yet powerful project management tool trusted by both small and large organizations. Its TimeTracker widget enables users to easily track time spent on a task, as well as input estimated time that can be measured against actual time spent for a more accurate time report. 5PM has an interactive timeline where projects can be dragged and dropped to have a more organized view of both ongoing and completed tasks. Reports can easily be generated, printed out, and exported too. Project management entails a lot of organizational skills, focus, and even patience. As mentioned, not being able to cope with its stress can take its toll in your life, but you can prevent this by utilizing project management tools. 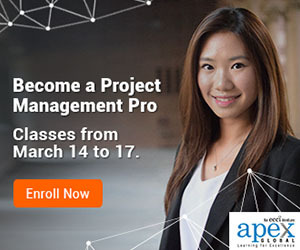 Undergoing a project management training can also be beneficial for you as it helps you be equipped with the challenges that you may encounter. So, are you confident enough with your skills? If not, you can always turn to these tools to unleash your full potential as a project manager. Hey Shuba, thanks for the list. I’m currently using ProofHub to collaborate with and manage my remote team. It’s a pretty good tool. Great read. I recommend you try Hitask. I find it highly efficient on managing projects with our team. Thanks for the post. Thanks for the sharing Neha, I am already using “Findnerd-Free Project Management Tool” from last 2 month. I liked it all functionality and very user friendly, Specially I liked it because it is absolutely free. For project execution on its time and to track the time spent on every single task, going for the Project Management software will help in improving the productivity. I’d like to recommend Indydesk for it. 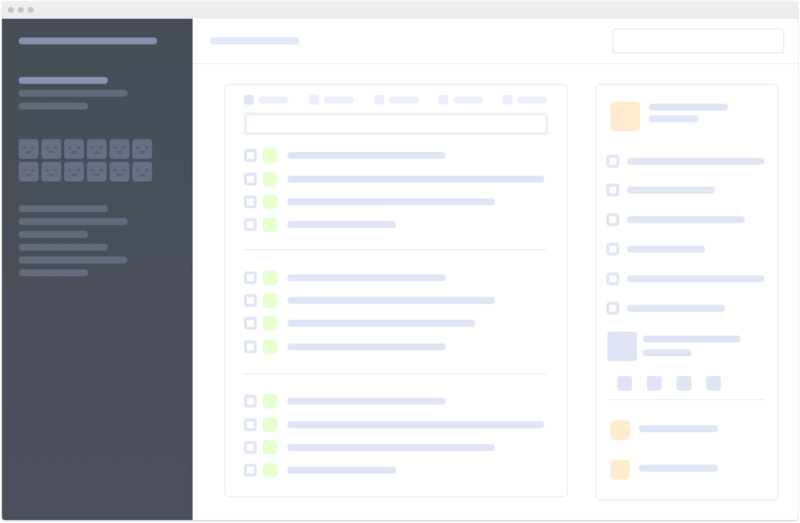 Indydesk is an online project management tool allows you to create number of tasks, assign tasks to your team members and organize your to-do list to suit your needs at one place. It is cloud based project management software that helps you easily manage projects, schedule, discuss, work and communicate with your team members.